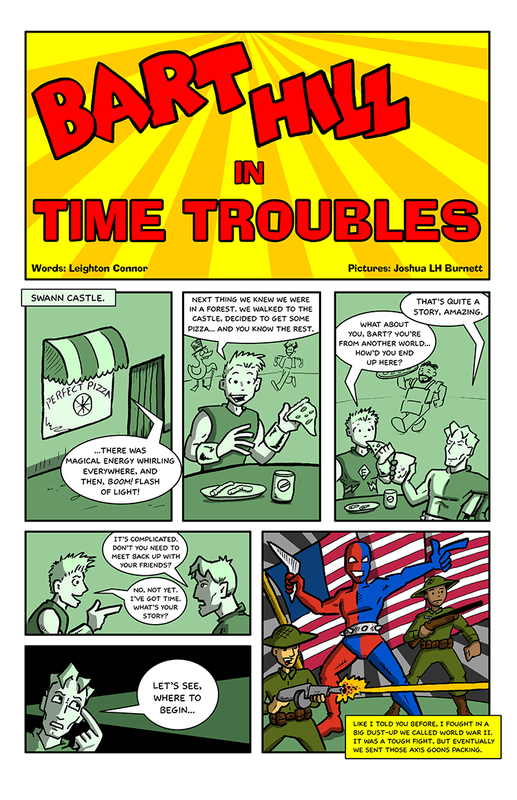 We’re thrilled to welcome aboard artist Josh Burnett for “Time Trouble,” a six page story starring Bart Hill. As you can see, it picks up shortly after the end of Chapter 8, but it’s going to take us back into the past . . .